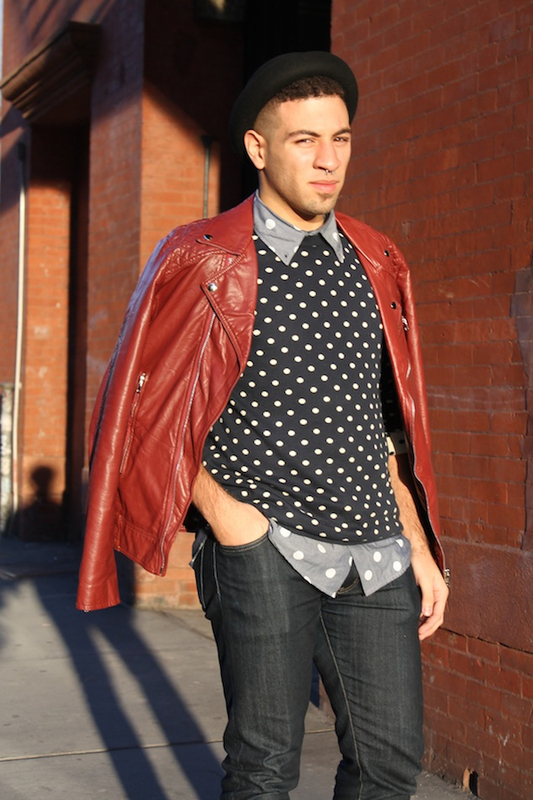 In this week’s edition of OUT On The Street, I came across a SoHo sales specialist named Jason in an eye-catching red leather jacket from Zara, and a polka-dot-on-polka-dot sweater (Topman) and shirt (Joe Fresh) scheme. See the details of the look on Out.com, and check out more street style on Vee Travels. Posted on October 31, 2013, in Fashion, Street Style and tagged Fashion, Street Style. Bookmark the permalink. Leave a comment.